We moved into our first home two years ago this October (!) and even though I feel like we have done quite a bit to the house, there always seems to be something new that needs work and attention. I guess that's what happens when you buy a house that is 60+ years old. 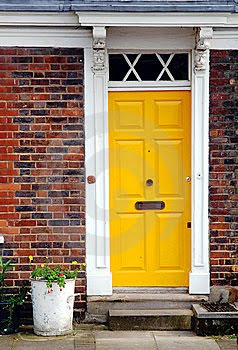 A bright yellow front door, or maybe a mustard color. I love red brick and yellow together! 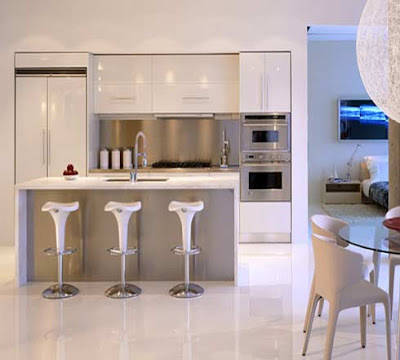 I think it might add a little curbside appeal, but do you think it might look weird because we are in a semi-detached home? 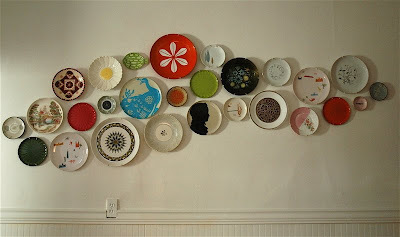 I like this look too, but would need to find some really nice plates if I'm only putting up a few. So far my plates have a) a cow, b)green beans, c)carrots and d) an apple pie recipe. I need more! 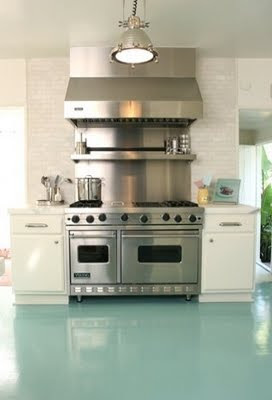 Same floor look, but awesome color - I would love to do this, but only if we take down the wall between the kitchen and living room and have the grey be the main color. 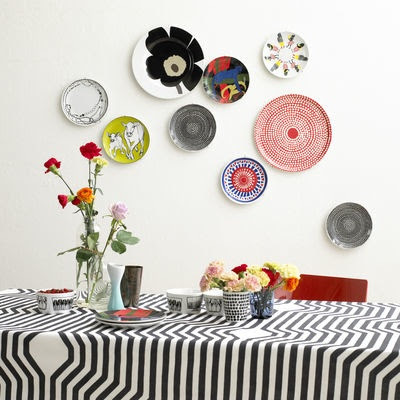 Don't you think this light tuquoise would be so pretty with grey walls, and white and black accents? Again, easy to keep clean and again, mouth watering. This one we wanted to get done this past summer but time and money but greatly underestimated. The good news is we have a plan, and we will hopefully get our new deck up next spring. 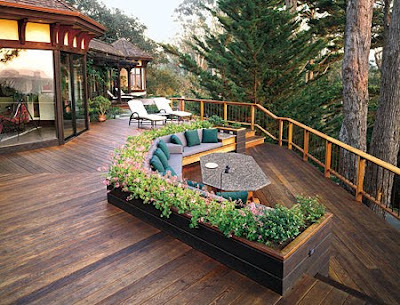 Oh, and our backyard looks just like this one. Only less trees (none actually), less delicious mountain air, more weird street people, and more weeds. Ahhh home. You have an interesting blog site....I enjoyed it!